Around the time President Donald Trump was signing an executive order to roll back legislation aimed at slowing climate change, a group of conservationists gathered in Missoula to recognize one of their own as a leader in the very field now in the president’s crosshairs. 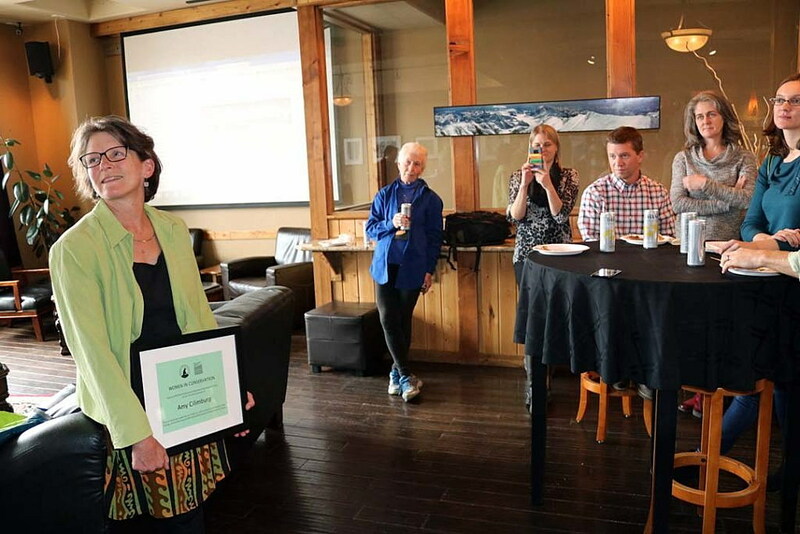 On Tuesday, the National Wildlife Federation and Montana Conservation Voters joined other local leaders in naming Amy Cilimburg as Woman Conservationist of the Year, an award that’s been issued just twice before. 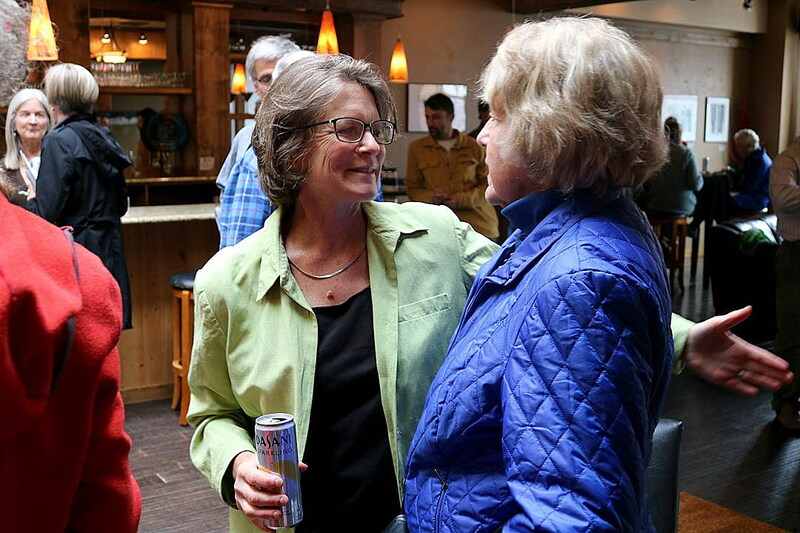 In receiving the honor, Cilimburg joins Carol Williams and Janet Ellis, placing her in respected company with other female conservation leaders from Montana. Cilimburg traces her early days in conservation to the Montana Audubon Society, where she learned to advocate under the tutelage of Ellis. 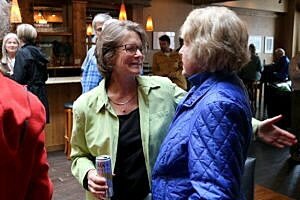 More recently, she spearheaded Climate Smart Missoula to find and encourage local solutions to global warming. Founded in the fall of 2015, the organization has grown both in membership and reach, working to build new partnerships that address climate change in Missoula. The efforts have ranged from a Community Climate Action Plan to the organization’s latest foray, a city-wide greenhouse gas inventory. Aimed with science-based knowledge, they plan to chip away at the city’s carbon footprint. Climate Smart Missoula helped lead the city’s goal to become carbon neutral by 2050, and it’s working with other groups on climate mitigation and ways to adapt to hotter summers, smoke-filled skies and other pressing changes. The group also works to inspire further action and ensure those without a voice are represented at the table. Tom France, regional director of the National Wildlife Federation, praised Cilimburg for her work. Yet the reality of Trump’s latest executive order and the perceived setback it poses to curbing climate change hung heavy over what was intended to be a celebration. The timing of the Tuesday’s event wasn’t lost on those in attendance. France and Cilimburg worked together back in 2005 during what France described as more optimistic times. That was the year the Climate Stewardship Acts were introduced by John McCain, R-Arizona, and Joseph Liberman, ID-Connecticut. While the bipartisan series of acts failed to gain enough votes in Congress, they helped elevate the discussion, setting a path to last year when then-President Barack Obama entered the U.S. into the Paris Accord and signed the Clean Power Plan. Both actions were hailed by conservationists as a long-needed victory, though Trump on Tuesday began his efforts to undo any Obama-era regulations aimed at curbing climate change. Williams, who attended Tuesday’s ceremony with her husband and former U.S. Rep. Pat Williams, also praised Cilimburg for her work. Williams was the award’s first recipient and believes the environmental movement needs more women.